To work with Congress and encourage minority-owned small businesses to use its marketing products, I’ve learned Facebook has just created a new Head of Community Engagement role to be filled by Susan Gonzales. Until now, Gonzales was a full-time consultant in Facebook’s DC office where she’s led external affairs since August. Before that she was the VP of Comcast’s community foundation, and is currently the Vice Chairperson of the Congressional Hispanic Caucus Institute. Gonzales will manage outreach to diverse communities, be a liaison to key Congress members, and help run Facebook’s Small Business Boost and digital citizenship “roadshows”. Facebook could increase revenue and public support by putting this experienced relationship builder at the front of its education initiatives. A lack of social marketing expertise amongst independent merchants has been a major barrier to Facebook getting the long-tail of small businesses to spend more on its platform. The problem was neglected for years as it focused on big brands. In September, Facebook finally launched a program with the National Federation of Independent Business and the U.S. Chamber of Commerce to send Facebook experts to their local chapters and teach their members. Gonazales will bring this business education program to the National Urban League, U.S. Hispanic Chamber of Conference, National Black Chamber of Commerce, and similar groups. Understanding of complicated products like Timeline for Pages and Sponsored Stories will breed confidence amongst minority business owners and get them to shift marketing spend to Facebook. Though located at Facebook’s Menlo Park campus, Gonzales will report to Joel Kaplan, Facebook’s VP of U.S. Public Policy in DC. She’ll work on issues with groups such as the Congressional Black, Asian Pacific American, and Women’s Caucuses which represents different sets of Congress members. 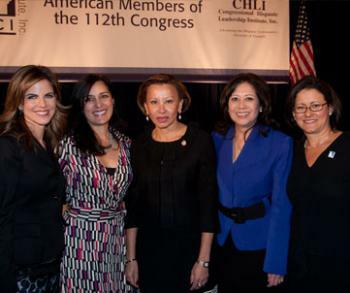 Gonzales will be able to leverage connections from her previous role as the Vice Chairperson of the Congressionally chartered U.S. Commission for the American Latino Museum. Gonazales may also do outreach to women’s groups, disabled Americans, and others. Beyond business and politics, Gonzales will travel to underserved communities to provide online safety education to parents teens, educators, and leaders. She’ll also be working the minority- and women-owned banks added as underwriters to Facebook’s IPO. Facebook’s ubiquity, dominance of the social networking space, and the IPO mean it’s coming under more government scrutiny. With time, politics could be a bigger threat to Facebook than competitors. If it wants to avoid regulation and secure favorable legislation around privacy and patents, it has to recruit allies in congress and the community. Gonzales will put a friendly face on Facebook when it needs one most.